Cape Town – Minister of Mineral Resources Gwede Mantashe told reporters in Sunday that the department’s summit due to take place in early July will discuss latest version of the Mining Charter with the industry and social partners. Two weeks back the Department of Mineral Resources told Parliament’s portfolio committee on mineral resources that it reached consensus with industry and social partners that the soon coming Mining Charter would serve as “secondary legislation” as oppose to a punitive law. Mantashe on Friday said the general public would have 30 days to comment on the charter. The Mining Charter seeks to address the transformation of the mining sector and upliftment of mining communities while maintaining the stability of a sector, which has seen declining profits for some years and in the last quarter. 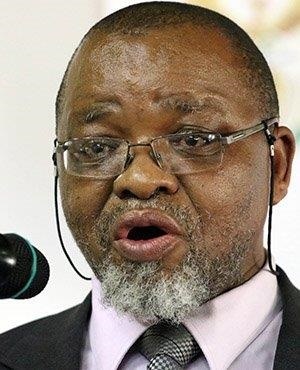 Mantashe told reporters in Pretoria on Sunday morning that the Department of Mineral Resources would allow for a month of further public comment on the contents the Mining Charter as it continues to plan for a July summit. However, he said, the summit will not convene with a view of changing the charter but improving its modalities. “We are allowing the period for comment to be 30 days. In the middle of it we have the summit where we will allow for further comment. We are targeting the seventh and eighth of July for that summit. We hope the changes from the summit will not be too massive,” said Mantashe. Mantashe said even though the previous charter was challenged by the Minerals Council of South Africa, formally known as the Chamber of Mines, he was optimistic that the charter would address various issues affecting the sector and communities close to mining operations. “We are encouraged by the positive contributions that all communities and the public made to the charter. They were central to forming the policy and drafting the charter. They did not mention the charter alone. They mentioned issues that will be taken up,” said Mantashe. He said he hoped that within 30 days the charter would be referred to Cabinet and later gazetted. It would serve as a policy guide for the mining sector., he said He said he could not be sure of how long this process would take. “Once we have finalised the draft it will be subjected to government impact assessment. It will be submitted to cabinet for approval once all the processes will be concluded the final mining charter will be gazetted,” he said. In recent weeks the department held a consultation process with business, social partners and mining communities during which it met with 2846 attendees at consultation meetings in eleven mining communities across all nine provinces. The consultation process with members of mining communities raised demands including ring fenced procurement opportunities for mining communities as well as community and employee shareholding.